Has history ever toyed so wantonly with a people as history toyed with the Jews in the 1940s? It was a decade of ashes and honey; a decade so battering and so emboldening that it tested the capacity of those who experienced it to hold a stable view of the world, to hold a belief in the world. When the light finally shone from Zion, it illuminated also a smoldering national ruin; and after such darkness, pessimism must have seemed like common sense, and a holy anger like the merest inference from life. But it was in the midst of that turbulence, in 1948, that the scholar and man of letters Simon Rawidowicz published a great retort to pessimism, a wise and learned essay called "Am Ha-Holekh Va-Met," "The Ever-Dying People." "The world has many images of Israel," Rawidowicz instructed, "but Israel has only one image of itself: that of an expiring people, forever on the verge of ceasing to be. ... He who studies Jewish history will readily discover that there was hardly a generation in the Diaspora period which did not consider itself the final link in Israel's chain. Each always saw before it the abyss ready to swallow it up. ... Often it seems as if the overwhelming majority of our people go about driven by the panic of being the last." In its apocalyptic season, such an observation was out of season. In recent weeks I have thought often of Rawidowicz's mordant attempt to calm his brethren, to ease them, affectionately and by the improvement of their historical sense, out of their tradition of panic. For there is a Jewish panic now. The savagery of the Israeli-Palestinian conflict, the virulent anti-Zionism and anti-Semitism in the Arab world, the rise in anti-Jewish words and deeds in Europe: All this has left many Jews speculating morbidly about being the last Jews. And the Jews of the United States significantly exceed the Jews of Israel in this morbidity. The community is sunk in excitability, in the imagination of disaster. There is a loss of intellectual control. Death is at every Jewish door. Fear is wild. Reason is derailed. Anxiety is the supreme proof of authenticity. Imprecise and inflammatory analogies abound. Holocaust imagery is everywhere. In the discussion of the atrocities that the Palestinians have committed against the Israelis, the subject is Hitler. "I am convinced that we are facing a threat as great, if not greater, to the safety and security of the Jewish people than we faced in the '30s," the head of a national Jewish organization announced in February. In the New York Observer in April, Ron Rosenbaum warned of "the Second Holocaust": "It's a phrase we may have to begin thinking about. A possibility we may have to contemplate." Indeed, "there's likely to be a second Holocaust. Not because the Israelis are acting without restraint, but because they are, so far, acting with restraint despite the massacres making their country uninhabitable." George F. Will admiringly cited Rosenbaum in a column that he called "`Final Solution,' Phase 2." "Here in Washington, D.C., a few blocks away, is the Holocaust Museum," William Bennett told the rally in support of Israel at the Capitol on April 15. "What we are seeing today, what Israel is feeling today, was not supposed to happen again." On the same occasion Benjamin Netanyahu compared Arafat to Hitler, and also to Stalin. ("We don't have to be afraid that the international community doesn't see eye to eye with us," he proclaimed at the Likud Party conference this week. "Did the international community see the danger of the Holocaust?") "THE NEW KRISTALLNACHT," screamed the headline of a Jewish paper in New York about the Passover massacre in Netanya. "This is Kristallnacht transposed to Israel," wrote Charles Krauthammer in The Washington Post. And doves are as unnerved as hawks. "As I've said before," Nat Hentoff told New York magazine, "if a loudspeaker goes off and a voice says, 'All Jews gather in Times Square,' it could never surprise me." Call me a simple soul, but it could surprise me. The Jews that I see gathered in Times Square are howling at Nazis in Mel Brooks's kick lines. Hentoff's fantasy is grotesque: There is nothing, nothing, in the politics, the society, or the culture of the United States that can support such a ghastly premonition. His insecurity is purely recreational. But the conflation of the Palestinians with the Nazis is only slightly less grotesque. The murder of 28 Jews in Netanya was a crime that fully warranted the Israeli destruction of the terrorist base in the refugee camp at Jenin, but it was not in any deep way like Kristallnacht. Solidarity must not come at the cost of clarity. Only a fool could believe that the Passover massacre was a prelude to the extermination of the Jews of Israel; a fool, or a person with a particular point of view about the Israeli-Palestinian conflict. If you think that the Passover massacre was like Kristallnacht, then you must also think that there cannot be a political solution to the conflict, and that the Palestinians have no legitimate rights or legitimate claims upon any part of the land, and that there must never be a Palestinian state, and that force is all that will ever avail Israel. You might also think that Jordan is the Palestinian state and that the Palestinians should find their wretched way there. After all, a "peace process" with the Third Reich was impossible. (Even if Chaim Weizmann once declared, about his willingness to enter into negotiations with Nazi officials, that he would negotiate with the devil if it would save Jews.) So the analogy between the Passover massacre and Kristallnacht is not really a historical argument. It is a political argument disguised as a historical argument. It is designed to paralyze thought and to paralyze diplomacy. All violence is not like all other violence. Every Jewish death is not like every other Jewish death. To believe otherwise is to revive the old typological thinking about Jewish history, according to which every enemy of the Jews is the same enemy, and there is only one war, and it is a war against extinction, and it is a timeless war. This typological thinking defined the historical outlook of the Jews for many centuries. It begins, of course, with the Amalekites, the nomadic tribe in the Sinai desert that attacked the Israelites on their journey out of Egypt. "The Lord hath sworn that the Lord will have war with Amalek from generation to generation. ... Thou shalt blot out the remembrance of Amalek from under heaven; thou shalt not forget it." From generation to generation: An adversarial role, a diabolical role, was created in perpetuity. And so Amalek became Haman (who actually was an Amalekite), who became the Romans, who became the Crusaders, who became Chmielnicki, who became Petlura, who became Hitler, who became Arafat. The mythifying habit is ubiquitous in the literature of the Jews. In some instances, it must not have seemed like mythifying at all. "A tale that began with Amalek," wrote the Yiddish poet Yitzhak Katznelson in the concluding lines of "The Song of the Murdered Jewish People" in 1944, not long before he died at Auschwitz, "and ended with the crueler Germans. ..."
But it is mythifying, and the habit is back; and so a number of things need to be said about Amalek, and about the Amalekization of the present enemy. For a start, the prescription of an eternal war with Amalek was a prescription for the Jews to be cruel. Here is Rashi's brutal gloss, in the eleventh century in France, on the commandment to "blot out the remembrance": "Every man and every woman, every babe and every suckling, every ox and every sheep. The memory of Amalek cannot be said to survive even in an animal, such that someone could say, `This animal once belonged to an Amalekite.'" This extreme of heartlessness was responsible for the most chilling sentence uttered by an Israelite in the Bible: "What meaneth then this bleating of the sheep in mine ears, and the lowing of the oxen which I hear?" That was what Samuel furiously demanded to know of the poignantly human Saul, the king who could not bring himself to slaughter his enemy completely. So if Amalek is waging a war of extermination against the Jews, the Jews are waging a war of extermination against Amalek. It was perhaps this pitilessness against which some (but certainly not all) medieval and early modern Jewish intellectuals revolted, when they wondered about the precise identity of Amalek in their own day, and proposed various kinds of symbolic action that would allow Jews to acquit themselves of the law about the erasure of the enemy, and deferred the application of the law to the messianic age. I wish also to record an extraordinary comment by Isaac Abarbanel, the thinker and statesman who failed to persuade the king and the queen of Spain to revoke the edict of expulsion in 1492 and promptly fled to Naples. The sin of the Amalekites, he explained, was that their aggression against the Israelites was groundless: "Amalek attacked them without reason. ... For the Israelites possessed no land that the Amalekites coveted." It would appear that there is no place for Abarbanel in the Likud. For his implication is decidedly a moderate one. If the Israelites had possessed land that the Amalekites coveted, then this would not have been a war to the end of time. It would have been an ordinary war, a war that can be terminated in a peace. But the real problem with typological thinking about history is that it is not historical thinking at all. It is ahistorical thinking. It obscures and obliterates all the differences between historical circumstances in favor of a gross, immutable, edifying similarity. It is an insufficiently worldly way to judge the world. For this reason, such thinking was overthrown in the modern period by Jews who decided that their myths would not ameliorate their misery; that there was not only one question and only one answer; that the entire universe was not their enemy and their enemy was not the entire universe; that the historical differences mattered as much as the historical similarities, because a change in history, progress, normality, tranquillity, was possible; that historical agency required historical thinking, that is, concrete thinking, empirical thinking, practical thinking, secular thinking. All these notions amounted to a revolution in the Jewish spirit, without which the Jewish national movement and the Jewish state could not have been brought into being. A historiosophy is not a strategy. The Jews taught themselves to attend not only to their fates, but also to their interests. That is to say, they taught themselves no longer to regard themselves as the last Jews. The lesson was called Zionism. The last Jews have nothing to do but fight or die; but Zionism has more to do. Israel was not created to destroy Amalek. Israel was created to deny Amalek. The fright of American Jewry is owed also to a new recognition of the reality of anti-Semitism. Up to a point, this is as it should be: The happiness of the Jews in the United States certainly demands a regular refreshment of their awareness of evil. There is something a little odd, though, about the shock with which the news of European anti-Semitism has been met, since it is for the Jews the oldest news. There was one blessing, and one blessing only, that the Second World War conferred upon the Jewish people, and it is that the future of the Jewish people forever departed Europe. Anti-Semitism in Europe must be fought, but not with the confidence that this will be a European fight, too. European nationalism includes no conception of the multiethnic state. European culture is permeated with a contempt for otherness. Indeed, the moral incompetence of European culture with regard to otherness now falls more heavily upon Muslims than upon Jews. In Israel and in the United States, moreover, the Jews found not only safety, but also strength. The blandishments of pluralism in America have included the fierce and unembarrassed pursuit of Jewish interests, and so brilliantly that the American Jewish community has become the model for what an ethnic group can accomplish in such conditions of freedom. The blandishments of sovereignty in Israel have conspicuously included military power. Suicide bombs are sickening; but it is the Israelis who command an army and an air force, and also a nuclear arsenal. These instruments of warfare are themselves conclusions properly drawn from a severe history in which Jews lacked the means of self-reliance and self-defense. There is nothing vexing about the strength of the Jewish state, though there may be something vexing in the manner in which the Jewish state sometimes (but not often) exercises its strength. And military power has political purposes as well as military purposes. So Israel has adversaries, but Israel is stronger than its adversaries. That is why the real threat to Israel comes not from Jenin and Gaza, but from Baghdad and Tehran; not from booby-trapped casbahs, but from advanced missile technologies. But not even that threat, and it is grave, can be accurately compared to the plight of the Jews in Hitler's Europe. The comparison breaks down over more than the fact that this time the Jews have a spectacular deterrent. The Jews in the 1930s and 1940s were fighting, when they fought, for nothing more than a splendid death. They knew that the fight was futile, which makes their courage almost unbearable to contemplate. The Jews in Israel have no reason to believe that the fight is futile. And they are fighting for their home. The fright of American Jewry is finally not very surprising, and not only because we are an "ever-dying people." To a degree that is unprecedented in the history of the Jewish people, our experience is unlike the experience of our ancestors: not only our ancient ancestors, but also our recent ones. It is also unlike the experience of our brethren in the Middle East. Their experience of adversity in particular is increasingly unrecognizable to us. We do not any longer possess a natural knowledge of such pains and such pressures. In order to acquire such a knowledge, we rely more and more upon commemorations--so much so that we are transforming the Jewish culture of the United States into a largely commemorative culture. But the identifications that seem to be required of us by our commemorations are harder and harder for us to make. In our hearts, the continuities feel somewhat spurious. For we are the luckiest Jews who ever lived. We are even the spoiled brats of Jewish history. And so the disparity between the picture of Jewish life that has been bequeathed to us and the picture of Jewish life that is before our eyes casts us into an uneasy sensation of dissonance. One method for relieving the dissonance is to imagine a loudspeaker summoning the Jews to Times Square. In the absence of apocalypse, we turn to hysteria. In America, moreover, ethnic panic has a certain plausibility and a certain prestige. It denotes a return to "realism" and to roots. A minority that has agreed to believe that its life has been transformed for the better, that has accepted the truth of progress, that has revised its expectation of the world, that has taken yes for an answer, is always anxious that it may have been tricked. For progress is a repudiation of the past. Yes feels a little like corruption, a little like treason, when you have been taught no. For this reason, every disappointment is a temptation to eschatological disappointment, to a loss of faith in the promise of what has actually been achieved. That is why wounded African Americans sometimes cry racism and wounded Jewish Americans sometimes cry anti-Semitism. Who were we kidding? Racism is still with us. Anti-Semitism is still with us. The disillusionment comes almost as a comfort. It is easier to believe that the world does not change than to believe that the world changes slowly. But this is a false lucidity. Racism is real and anti-Semitism is real, but racism is not the only cause of what happens to blacks and anti-Semitism is not the only cause of what happens to Jews. A normal existence is an existence with many causes. The bad is not always the worst. To prepare oneself for the bad without preparing oneself for the worst: This is the spiritual challenge of a liberal order. 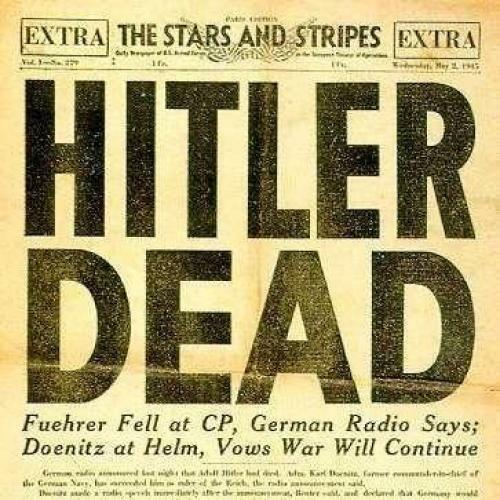 The Jewish genius for worry has served the Jews well, but Hitler is dead. The conflict between Israel and the Palestinians is harsh and long, but it is theology (or politics) to insist that it is a conflict like no other, or that it is the end. The first requirement of security is to see clearly. The facts, the facts, the facts; and then the feelings. Arafat is small and mendacious, the political culture of the Palestinians is fevered and uncompromising, the regimes in Riyadh and Cairo and Baghdad pander to their populations with anti-Semitic and anti-American poisons, the American government is leaderless and inconstant; but Israel remembers direr days. Pessimism is an injustice that we do to ourselves. Nobody ever rescued themselves with despair. "An ever-dying people is an ever-living people," Rawidowicz sagely remarked. "A nation always on the verge of ceasing to be is a nation that never ceases to be." It is one of the lessons that we can learn from the last Jews who came before us.